Announcing the Winners of our #SAgrad Conference Scholarship! The Student Affairs Collective strives to provide a peer-to-peer community where students and professionals can connect. During the past few weeks, the leadership team has been evaluating multiple applications for our #SAGrad Scholarship. In the spirit of giving back, this scholarship was established to help send Student Affairs Graduate Students to conferences that they could otherwise not afford. Thank you to each applicant for applying for this opportunity during the past month. We had an outstanding pool of folks to choose from. The time and energy everyone put into their application was inspiring. Following careful consideration, the recipients are (drumroll please)…. 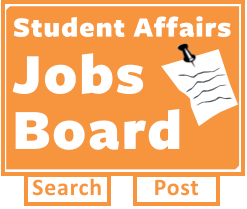 Amanda is a second year in the Student Personnel in Higher Education Master’s Program at the University of Florida. She is a Graduate Assistant for the Reitz Union Board Entertainment and has a practicum in the Disability Resource Center. She is a NACA South Graduate Intern. Outside of work, Amanda loves running, doing puzzles, watching Disney movies, and befriending dogs. Please connect with Amanda on Twitter @Amanda_Koslow , email AmandaRaeKoslow@gmail.com, or her blog amandaraekoslow.wordpress.com. I will be using this scholarship to help me attend The Placement Exchange (TPE) and the 2017 NASPA Annual Conference during March in San Antonio, Texas. TPE plays a crucial role in my job search process, and I am thankful for this scholarship that is allowing the high cost for travel, hotel, and conference fees more feasible. I am excited to officially begin my transition from an #SAGrad to an #SApro during this SA job search! Thank you, Student Affairs Collective, for giving me this opportunity. I will make you proud, and I cannot wait to formally join the field as a professional! 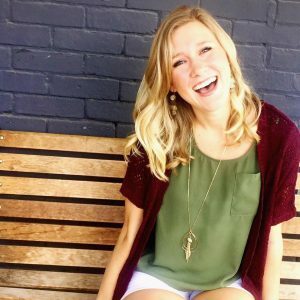 Watch her winning Periscope Live Session, which focused on the topic Work/Life Balance Doesn’t Exist: Self-Care as an #SAgrad. 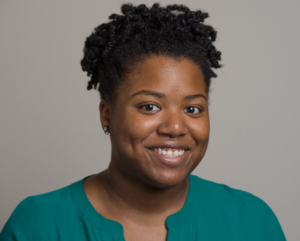 Amber is currently pursuing a Masters Degree in Student Personnel Administration in Higher Education from the University of North Carolina at Greensboro. She is also the Graduate Assistant in the Office of Student Leadership and Engagement. Find her on twitter at @ambernhamilton2. During the Spring, I plan use the scholarship award to attend the 2017 ACPA National Convention in Columbus, OH. I am currently involved in a Coalition of Graduate Students and New Professionals committee but I would like take my involvement to the next level at the National Convention by volunteering. I look forward to meeting colleagues from various institutions and encouraging them to take advantage of online peer-to-peer learning. The Student Affairs Collective team is so excited to see what great things you both experience while attending a student affairs conference. It is clear how important it is to move rising professionals forward in the field of Student Affairs. Our role here at the Student Affairs Collective is to make a positive impact through peer-to-peer learning. Because of the continued support from #SAPros and #SAGrads, we are able to do just that. 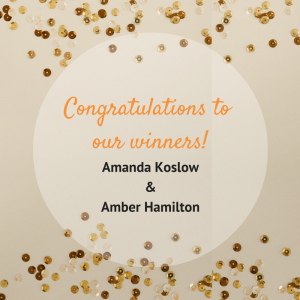 Help us congratulate Amanda and Amber on Twitter! HUGE #SAChat congrats to @amanda_koslow and @amberhamilton2 on receiving the #sagrad scholarship. Sabina is the Community Manager at Swift Kick and the managing editor of the Student Affairs Collective. She loves that her job is dedicated to helping students be as awesome as they were meant to be. She is a graduate of Fordham University (go Rams!) and has fond memories of being an Orientation Leader and on the board of the Filipino club while in college. Her life goal is to be a perpetual ball of sunshine. Find her on twitter @sabinadeelight!